Most of us are ignorant about the fundamental principles of the civilization that supports us, happily utilizing the latest - or even the most basic - technology without having the slightest idea of why it works or how it came to be. If you had to go back to absolute basics, like some sort of postcataclysmic Robinson Crusoe, would you know how to re-create an internal combustion engine, put together a microscope, get metals out of rock, accurately tell time, weave fibers into clothing, or even how to produce food for yourself? Regarded as one of the brightest young scientists of his generation, Lewis Dartnell proposes that the key to preserving civilization in an apocalyptic scenario is to provide a quickstart guide, adapted to cataclysmic circumstances. The Knowledge describes many of the modern technologies we employ, but first it explains the fundamentals upon which they are built. Every piece of technology rests on an enormous support network of other technologies, all interlinked and mutually dependent. You can't hope to build a radio, for example, without understanding how to acquire the raw materials it requires, as well as generate the electricity needed to run it. But Dartnell doesn't just provide specific information for starting over; he also reveals the greatest invention of them all - the phenomenal knowledge-generating machine that is the scientific method itself. This would allow survivors to learn technological advances not explicitly explored in The Knowledge as well as things we have yet to discover. 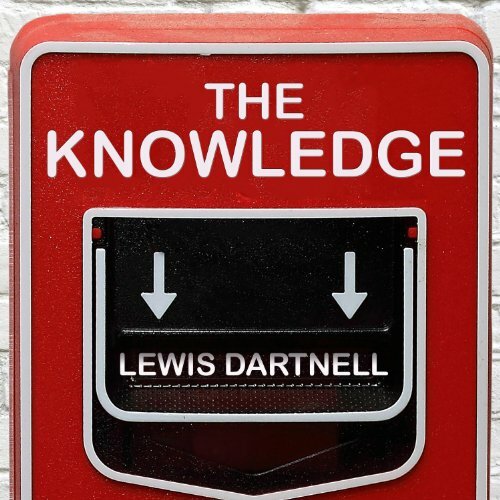 The Knowledge is a brilliantly original guide to the fundamentals of science and how it built our modern world as well as a thought experiment about the very idea of scientific knowledge itself. I love tech and engineering. This book taught me how things work from the ground up (literally). The basic knowledge in here should be required reading for any serious student of the universe. The narrator was ok but occasionally got on my nerves. I've yet to hear a great non fiction narration - maybe it's not possible. The book is clearly explained but still a bit dense for audio. I plan on listening several times as well as purchasing for my bookshelf. Although this book started out slow, I was more impressed with the book the further I got into it. It discusses the basic chemistry behind technologies such as glass, steel, acids, heating, foods, clothing, photography, metal working, medicine, etc., etc. It is a "what if" scenario of what would happen if there were a nuclear holocaust and the survivors needed to concoct basic technologies. The author draws upon the works of others to build a book which truly challenges the scientific knowledge of readers. It was dry at times, but I am sure it will come come in handy after the upcoming zombie apocalypse. We might be screwed, but... science! Prepping and survivalism are pursuits I have mixed feelings about. Yes, it makes sense to be prepared if some natural disaster or civil emergency happens, but if some major catastrophe causes civilization to go completely off the rails, I think we're all pretty screwed. I suspect that people who prep for *that* scenario are really acting out a wish fulfillment fantasy that lets them mentally opt out of participation in a world where they don't like their neighbors, the government, modern culture, the youth today, etc. Picture yourself safely in your fortified compound, while that guy that cut you off in traffic is crow food and that progressive-minded college girl that made fun of you on the internet is now begging for your protection from the roaming, post-apocalypse gangs. Who's laughing now, jerkfaces? 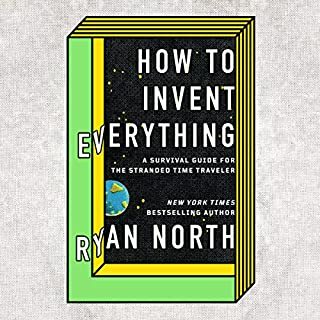 Anyway, this book offers a certain grim appreciation of how difficult it would to rebuild all our modern conveniences in a no-longer-industrial world. 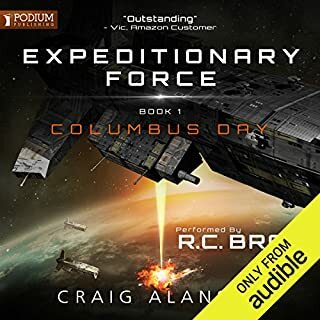 Dartnell presupposes that a large percentage of the current population would have to be gone for the survivors to have enough manufactured supplies to scavenge while they retooled for agrarian living. Otherwise, we'd get a "Road Warrior" scenario (too many people fighting for too little) or an "I am Legend" one (very few survivors, too scattered to form an effective society), and Dartnell considers these hopeless cases. 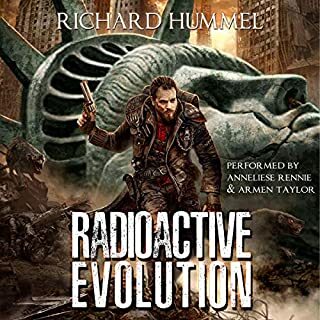 The science overview is interesting, though; on one hand, the post-apocalypse survivors will (in theory) be able to bypass the long discovery process that human science went through, and go straight to old-school technology that works. Here's how to build a loom, a battery, a still, a smelter, and an internal combustion engine. Here's how to avoid spreading disease, and to do crop rotation and fertilizers correctly. On the other hand, some resources that previous civilizations had are no longer there -- humans have far fewer easy-to-reach coal, oil, and metal deposits than we did in 1900. The ones that do exist might be oceans away, effectively beyond reach. The survivors may well have to explore other branches of the technology tree, such as wood-powered cars. 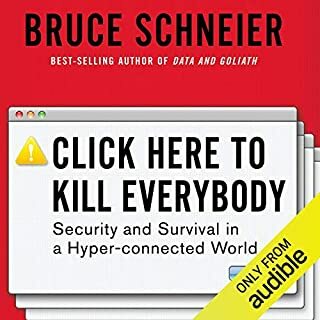 In summary, if you're looking for a survivalist how-to manual, this isn't the book you'll want, but if you're casually interested in the thought experiment of what it would take to reconstitute technological civilization after a collapse, it's worth a read. It might even convince you that stopping civilization from collapsing in the first place might be a whole lot less trouble for everyone. This is an extremely engaging read filled with information I never even thought of before. I'd really like to turn some of this information into science experiments for my children. I can't recommend this book enough even if you only have a passing interest in the science that underpins our world. This really is a genuine guide on how to survive and rebuild after an apocalypse. It’s awesome. First of all, I will make my kids read this when they are old enough for pure education. Second I will buy about five copies and keep them in watertight containers at various locations around the places I live and visit. You just never know. Third - this book really really makes you appreciate all that humanity has achieved over the past 10,000 years. We live lives of abundance and comfort today relative to 99% of the time that Homo sapiens has existed. If I have to make one critique it is that warfare and war fighting are left out of the book. 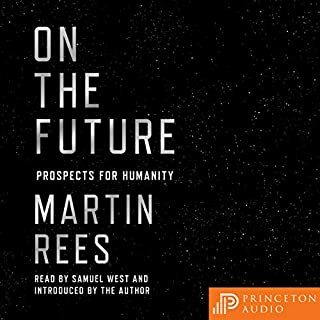 The book does a great job of describing how survivors of a cataclysm could rebuild science and technology slowly over time. But in such a scenario there might be multiple bands of people doing this, in an environment of poor communication and loss of trust. There are likely to be battles and wars as humans struggle to survive with limited technologies, or as they fight over the ability to scavenge in certain areas. War is as old as humans, sadly. One must not assume that it won’t be part of the landscape of a post-apocalyptic environment. How do you ensure security so that your group of survivors have the means to pursue scientific development? How do you even govern a small group of people - even a few dozen? And as your surviving society scales, how would you organize your government such that the problems that led to the downfall of the previous technological civilization do not afflict your own primitive state? These would be an additional set of tough questions to answer for the survivors, especially those who would be leaders among them. 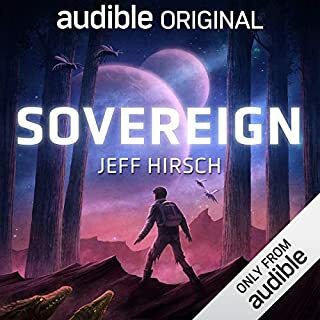 The narration quality was great here too - loved the narrator’s accent. Awesome book about rebuilding after a catastrophic event. I liked it so much I bought a physical copy as well. Provides a good theoretical background for understanding many technologies we overlook and take for granted in our everyday lives sufficiently that it could be reinvented more easily by experimentation were it to be lost, presented in order of necessity/utility to a recovering civilization, but also quite relevant to better understanding and appreciating our society's technological infrastructure. Incredibly well researched written and performed. I've learned things about our world I never knew and absolutely love this book. I recommend this for anyone!